With entrepreneurial experiences and instincts dating back to his youth, Ted Massaro's mission is to serve the diverse needs of self-employed, family-owned businesses and individuals working towards achieving high standards for themselves and their families. Ted has had the good fortune of establishing and maintaining longstanding relationships with many of his clients, many 20 years or more. His work in financial planning began as an agent working with employee benefits in 1974. Ted earned his bachelor of science degree in finance and continues to enroll in education programs to maintain his expertise in the financial planning field. Since opening his firm, Ted selected LPL Financial for the company's broker/dealer relationship, as LPL is the leading independent broker/dealer in the nation (as reported by Financial Planning magazine, June 1996-2016, based on total revenues). 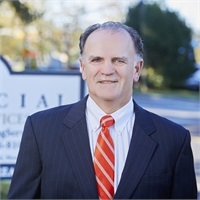 Ted has steadfastly kept M Financial Planning Services Inc. as an independent financial planning and advisory firm because of his commitment to the client centric values he has held dear throughout his career. He genuinely values the deep relationships he’s able to create with all of his clients. When Ted is not meeting with clients or helping his community by donating his time and resources to Big Brothers Big Sisters, he enjoys spending time with his lovely wife and children or trying to keep his aging bones together (especially knees) by routinely working out at the gym. Membership in LPL Financial Chairman's Club is based on year end production. Awarded in 2010, the award is based on an evaluation of twenty different practice categories such as experience, credentials, assets under management, fee structure and philosophy among other factors.